I look forward to my cup of coffee every morning every day and it is the one time of the day where I try to relax and take a time for myself as I sip a hot cup of coffee. 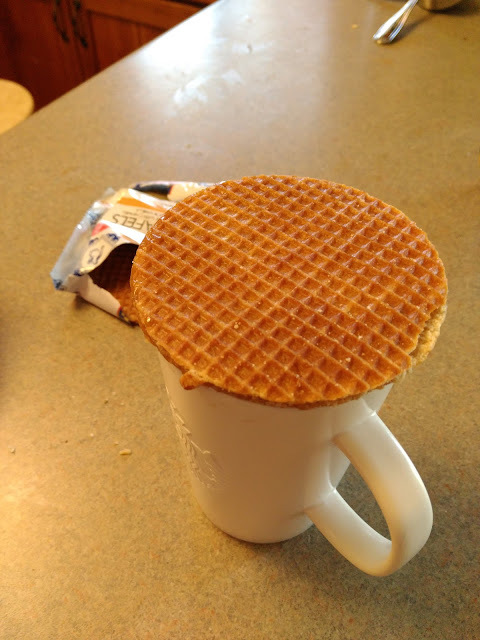 Now I look forward to it even more as I enjoy a Daelmans stroopwafel with my cup of coffee! Not only is it so fun to heat and eat but it tastes AMAZING! This month, United began offering Daelmans Stroopwafels as complimentary morning snacks for economy-cabin customers on thousands of daily flights, including trips within North America, with the waffle pairing perfectly with hot coffee or tea. Delicious straight from the package, Daelmans stroopwafels evolve into a scrumptious, sweet and melty treat when placed atop your hot cup for about two minutes, allowing the heat to warm the biscuit, soften the caramel, and release the natural aroma of cinnamon and real Bourbon vanilla. Simple and with universal appeal, Daelmans Stroopwafels are baked with care, using natural ingredients, and containing no artificial flavors, colors, preservatives or trans-fat. They are available in three varieties – caramel, honey and maple – and in both jumbo and miniature sizes for snacking. 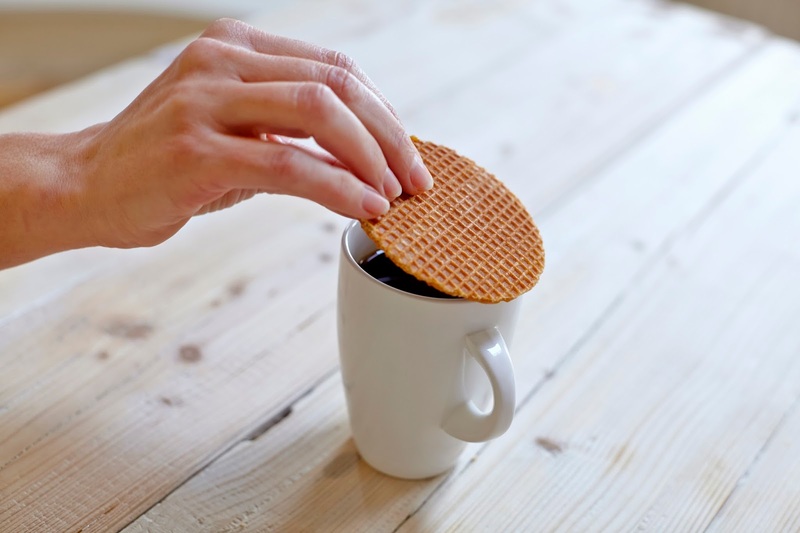 So skip the donut, danish or other sweet treat - grab a Stroopwafel instead and you won't regret it! I love this sweet, but not too sweet, crunchy but not too crunchy, caramelly treat and I look forward to eating it every time! 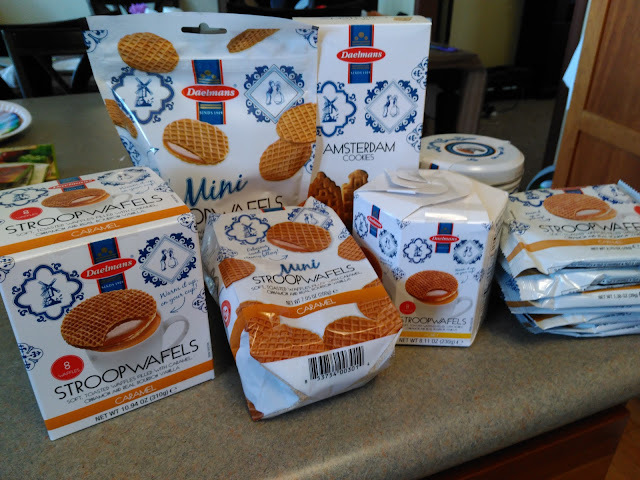 You can purchase Stroopwafels at Trader Joe’s, Cost Plus World Markets, Target, 7-Eleven, Wawa, Harris Teeter, Meijer, Albertson’s, HEB, Publix, Barnes & Noble Café’s, plus finer independent food retailers across the US. 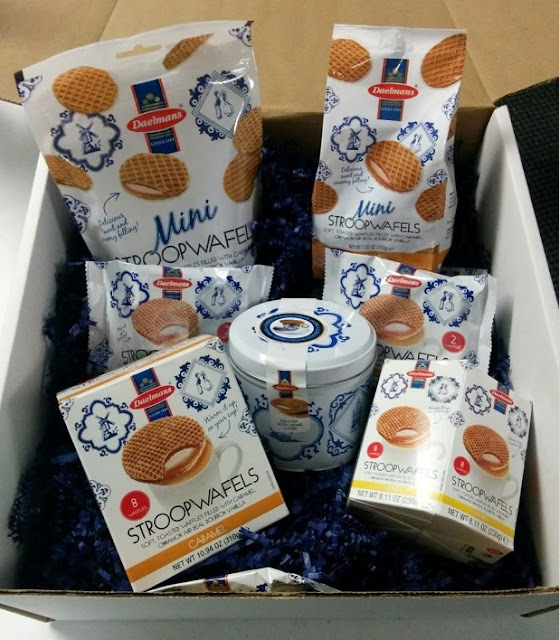 Daelmans is generously offering (1) Stroopwafels Prize Package to a lucky winner! These look so yummy, I'll have to look for them next time I'm at the store.